———– What role did music play in your upbringing in the Diné tradition? In the Diné language (Diné Bizaad) Hataałii means both “singer” and “doctor”. Also, in our language Sodizin means both “song” and “prayer.” So in my upbringing, music was all about deep intention to make the world a better place. Music was seen as a healer and singers were viewed as doctors. I was born into a world of struggle, as Native Americans continue to live in post-war conditions after the Native American holocaust. There’s a lot of work to do to improve our communities. I was raised by strong people to live my life deliberately and to view every one of my creations as an opportunity to heal my people, all people. —————— You have a track record for winning poetry jams at a statewide, and nationwide level, when did music become an extension of your drive to share your message? I was always a writer. I remember reading poetry in public places as early as 4th grade. I remember winning writing competitions that early as well, for whatever that’s worth. When I stumbled upon spoken word at age 14, I was an instant fanatic. I travelled all of the world in my teens performing spoken word. I also started picking up the guitar in earnest at that point. So my poetry and my music development started around the same age, but I was slower to become a decent musician, whereas writing and speaking came more naturally. I didn’t feel confident in my music enough until very recently, perhaps five years ago, to really include it in my public performances. But since then, it has come to be as appreciated as much as my poetry is. ———— How does the song writing process work for you and what does it take for you to feel a song is finished and ready to be performed or recorded? Everything is in prayer. Like my ancestors, I treat life like a ceremony. So first thing I do, unless I’m being rushed and careless, is I pray. Maybe go outside and offer some corn pollen to the earth and ask her to give me some good words. One of my mentors has a prayer that he says every morning: “May you help me help at least one person today.” That is a very beautiful prayer to me. So I pray that with each song it can help at least one person. I don’t have a real unreachable standard for when a song is finished. I try to be laid back and allow a song to go out even if it’s not perfect. I used to do that and I would never publish anything because it wasn’t flawless. Now I kind of rest in my imperfection and do my best and be happy with that. I’m often pleasantly surprised with what “my best” ends up being. 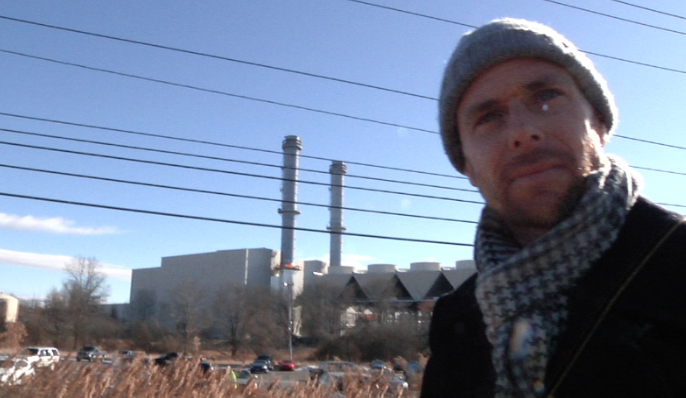 For over a year, through the cold and heat, the citizens of Orange County have held weekly pickets outside the construction site of a massive fracked gas power plant being built in their community. The CPV fracked gas power plant will emit 700 tons of known carcinogens, neurotoxins and endocrine disruptors each year and will increase demand for fracking in neighboring Pennsylvania. Scott Martens, a father of two young children from Middletown, saw folks protesting outside the construction site, stopped by and has been involved in the fight to stop CPV ever since. He says he’s been out there almost every Saturday for a year letting people know about the threats CPV poses to his community and the planet. Now Millennium, the company building the Valley Lateral Pipeline (VLP), a 7.8 mile pipeline that will transport fracked gas to the CPV plant from the larger Millennium transmission line, is trying to silence Scott. They filed a SLAPP suit (A Strategic Lawsuit Against Public Participation that is intended to censor, intimidate, and silence critics by burdening them with the cost of a legal defense until they abandon their criticism or opposition.) against him claiming he caused irreparable harm when he filmed crews begin to clear trees for the VLP in early December. Scott was there because the tree clearing threatened the habitat of endangered bald eagles. “On December 1st of this year I viewed and video recorded a majestic Bald Eagle sitting in its nest in a pine tree 80 feet from the proposed Valley Lateral pipeline alignment. This is the pipeline that will bring fracked gas to the unfinished CPV power plant for the next 40 years. Since that morning I have felt a profound sense of responsibility to protect these Eagles and their habitat. At that moment I knew that the these Eagles are there to protect us and we will be there to protect them…. 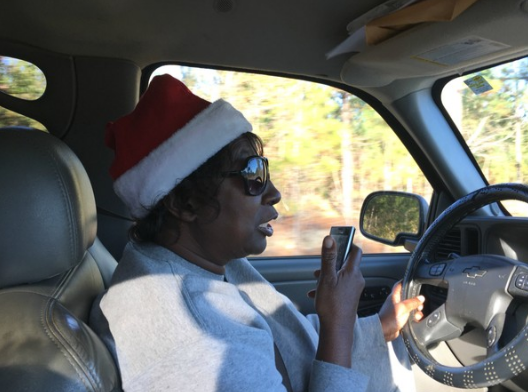 CEE’s Director of Environmental Justice and Civic Engagement, Catherine Coleman Flowers, reflects on the vote in Alabama. The recent election in Alabama reminded the world and the nation about the power of the vote. Being from Lowndes County, Alabama, I am ever reminded of the importance of exercising one’s franchise. When I was a child, I watched my parents fight for that right. My father also reminded us that the five years, four months and seventeen days he served in the United States Army fighting tyranny was to ensure that we never took it for granted. So, at the age of eighteen, I exercised my civic duty to register to vote. The first presidential election I voted in was 1976. I cast my vote for a peanut farmer from Georgia. Later I too joined the military because of my respect for democracy. I have participated in every election henceforth. Like my parents before me, I have made voting a family tradition. Before she was old enough to vote, my daughter Taylor and I would go to the polls together. I wanted to instill in her the importance of that privilege that my parents instilled in me. On December 12, 2017, she and I drove to the polls along with my twenty-two-month-old grandson. We cast our vote with the moral conviction that we had to speak for women, the environment and seven generations to come. We were determined to show that Democracy was alive and well. 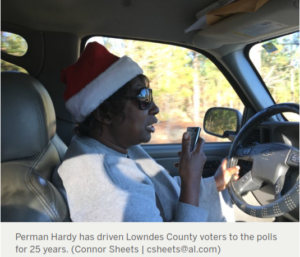 My cousin Perman Rush Hardy (see article below), a former sharecropper was doing likewise in Lowndes County. Her hard work on election day getting out the vote exemplifies what my parents taught me many years ago. Thank you to Perman and so many others that cast their vote, encouraged others to vote and took their families to the polls to vote. Because of you, Democracy is alive and well. 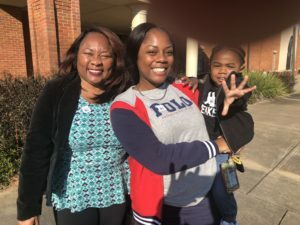 About the Author: Catherine Coleman Flowers (on left, pictured here with her daughter and grandson), is an Environmental Justice leader for Alabamians without basic needs met. She is a fierce advocate and part of a loving family. Full Article by Connor Sheets here at www.AL.com. SIGN ON to show your SUPPORT here! Competitive Power Ventures has been attempting to build a power plant on 60 acres of federally designated wetlands in NY State. Governor Cuomo and the state of NY said ‘NO’, but CPV was able to procure permits from the federal level. The project, which involves fracking, banned in NY State since 2014, would be devastating in its environmental impacts, including radiation and CO2 emissions, potential poisoning of the air and the water aquifer, along with the release of carcinogens and endocrine disruptors and the potential for a host of other related problems. Moreover, this land is home to bald eagles, and although eagles are federally protected by law—and there is currently an active eagle nest right next to the construction zone– CPV has already started chopping down trees, clearing the land for construction. Our friends, Clara Soaring Hawk, Deer Clan Chief of the Ramapough-Lenape and other local leaders and organizations are taking the lead in responding to the impending threat to this endangered species habitat and native burial ground. Please take a moment to educate yourself, get involved, and Share! Reports on the Millennium pipeline opponents protest. SLATE HILL – Opponents of the Millennium pipeline lateral under construction in Wawayanda came out Saturday to deliver their message that the pipeline is impinging on the bald eagle habitat and that the construction is violating federal law because of the proximity to the birds. Actor James Cromwell is one of the leaders in the movement to stop the pipeline and the CPV power plant, which would use the fracked gas delivered from the line. 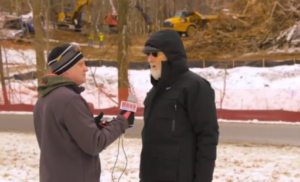 Activist and actor, James Cromwell speaks with press at December 16th CPV protest. “We have petitioned and notified every agency possible; no one wants to enforce the law,” he said. That law, he noted, is that tree cutting is far too close to the eagles’ nest than allowable. Pramilla Malick, founder and leader of the Protect Orange County group, remains adamant in her opposition to the pipeline. “These eagles are clearly in distress and nobody seems to be willing to enforce the law, not Fish and Wildlife, not the DEC, not the governor’s office, not the courts so these eagles have nobody, they have no protection,” she said. The Holidays have arrived! Some of us will be sharing stories and singing songs, others will contemplate in stillness the vastness of silence. However you choose to honor the season at home with family, in faith, and in community, we celebrate the light. We at the CEE share this sacred moment with all of you. 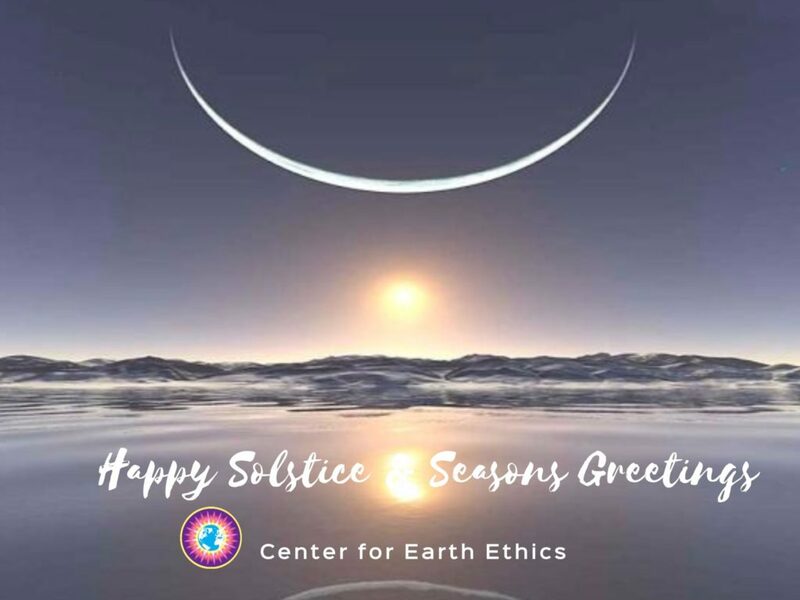 The Center for Earth Ethics has enjoyed a busy fall into winter with our friends and partners. Now is the time we begin to digest and integrate all we have learned throughout this season’s events. And as new insights reveal themselves we take great pleasure introducing these advances in our upcoming projects. Please join us in the classroom Feb 2-3, 2018 as we take the conversation Beyond GDP and save the dates: May 31th – June 2nd for our Annual Ministers Training where we will continue to collaborate on faith, climate and curriculum. Papers presented explored the Eastern Christian approach to the ‘original goodness of this world of ours, the redemptive quality of our effort to maintain its well-being, and the ethos of environmentally-sustainable action’. Here in NY, CEE continues to support local Indigenous lead Community Activism to ‘Keep It in the Ground’. 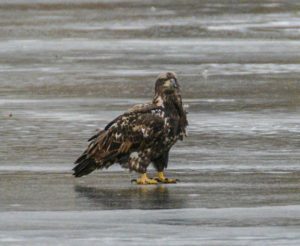 The latest fight comes as CPV begins construction in a protected wetlands area with a Bald Eagle’s nesting ground. 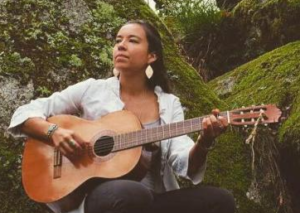 Local organizers are planning a Solstice Gathering of both Native wisdom leaders and their allies to defend the rights of the birds to nest peacefully. #StandwithClara Sign On to Show your Support! 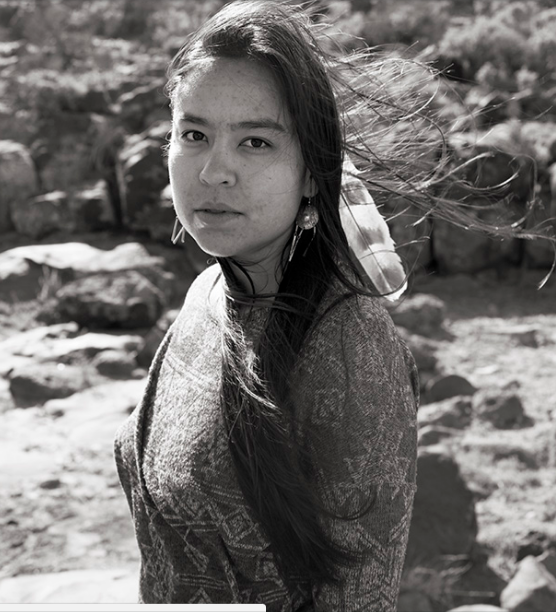 Also, read… An Interview with Mindahi Bastida: In partnership to protect the sacred. If you’ve been following the work of Program Area Director, Catherine Coleman Flowers, you know that The Guardian broke the story of Hookworm, in the US South following the release of a study conducted by Baylor University inspired by Catherine’s work. Now, for the first time, a UN Poverty Investigator visited Lowndes County, AL to assess the situation on the ground. CEE bridged the work of all Program Areas to co-create this special event with the Human Impacts Institute. What are Really the Roots of Climate Change? Jacqueline Patterson, Director of the NAACP Environmental & Climate Justice Program. The panel was facilitated by Tara DePorte, Founder of the Human Impacts Institute. Take Class with Us in 2018! Class Description and Registration Information Here! CONTRIBUTE to CEE for your YEAR END GIVING!